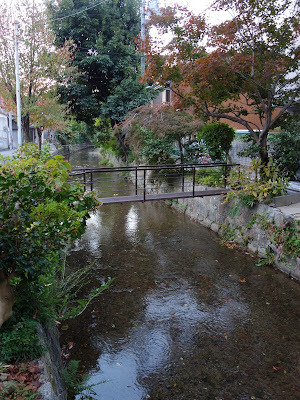 We spent a week in Kyoto, renting a house in the northwest part of town. 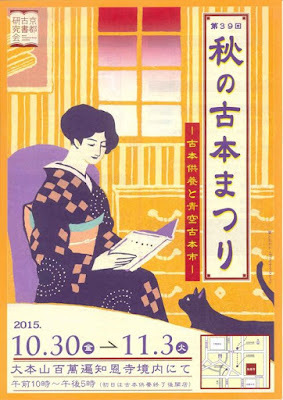 In my imagination Kyoto was a small town with rustic houses and shops, and lots of crafts people making things. In reality, although it had all that in places, it was also a fairly big city. There were multi level shopping centers in glass and steel buildings just like Tokyo, but also large areas of the old architecture I'd hoped for, and shrines scattered everywhere in addition to the famous ones on the edges of the city. It's a great city for walking, and we walked happily for hours and hours. I've taken all the photos unless otherwise noted. We stayed in the northwest part of town, chosen for it's older character and being away from the tourist areas. The house we rented was half a block from the Kitano Tenmangu Shinto Shrine, which was having a flea market on the day we arrived. They have a market there on the 25th of every month. Kitano Tenmangu was built to appease the spirit of Sugawara Michizane, who's associated with Tenjin, the god of education. People go there and grab a rope to ring the large bells to get the god's attention in their quest for academic success. Above: Long ropes for ringing the bells. 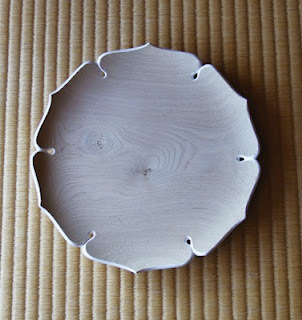 Above: In addition to vintage items there were newer crafts for sale, like these lovely dishes. Above: Folded paper and leaves and strings hang from the shrine doorway. 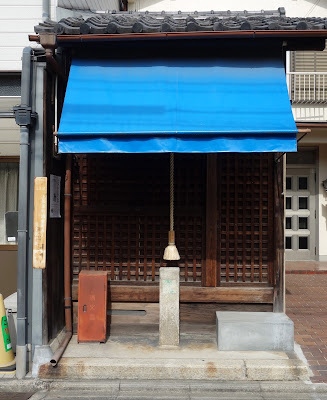 The shimenawa (plaited rope) and shime (folded white paper) are placed there to ward off evil spirits, to purify, and to indicate a sacred space. 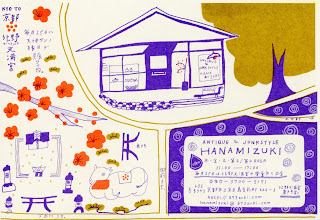 Above and below: Hanamizuki Antiques...an appealing shop next to the shrine. 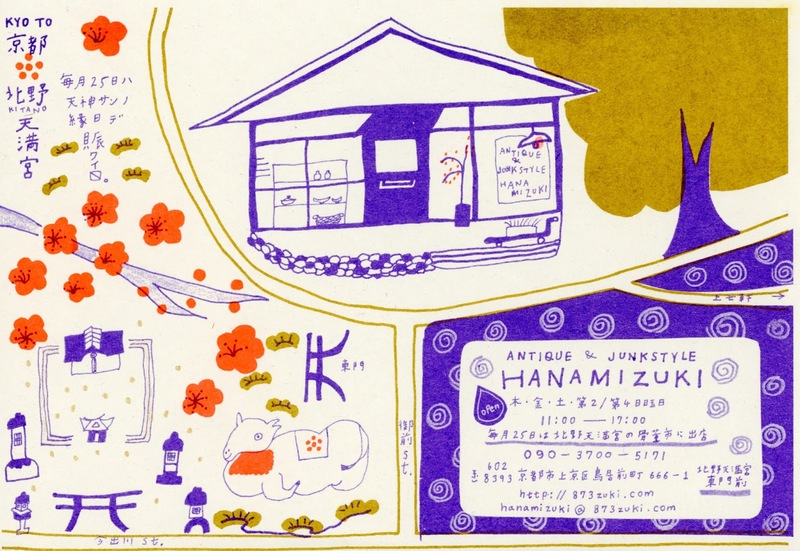 The map shows their location and describes their wares..."Antique and Junk Style". Above: Sweets store on our block displayed these folded paper decorations in their cabinet....this is an open air street display....you can see the white shop banners in the mirror. 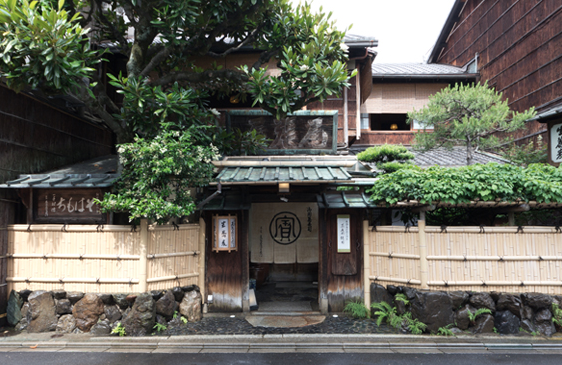 Above and below: The neighborhood we stayed in is called Kamishichiken Kawai. 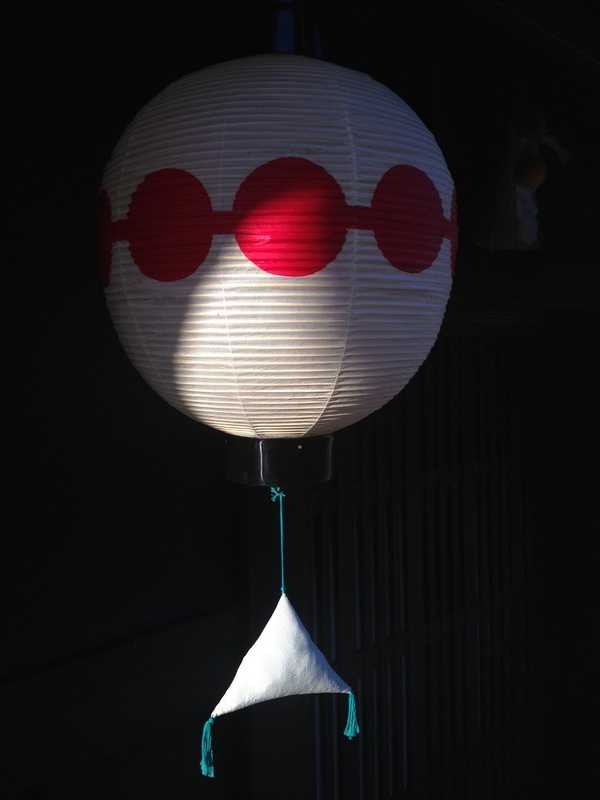 It's lantern motif is a ring of red circles. Each neighborhood seems to use a different pattern. 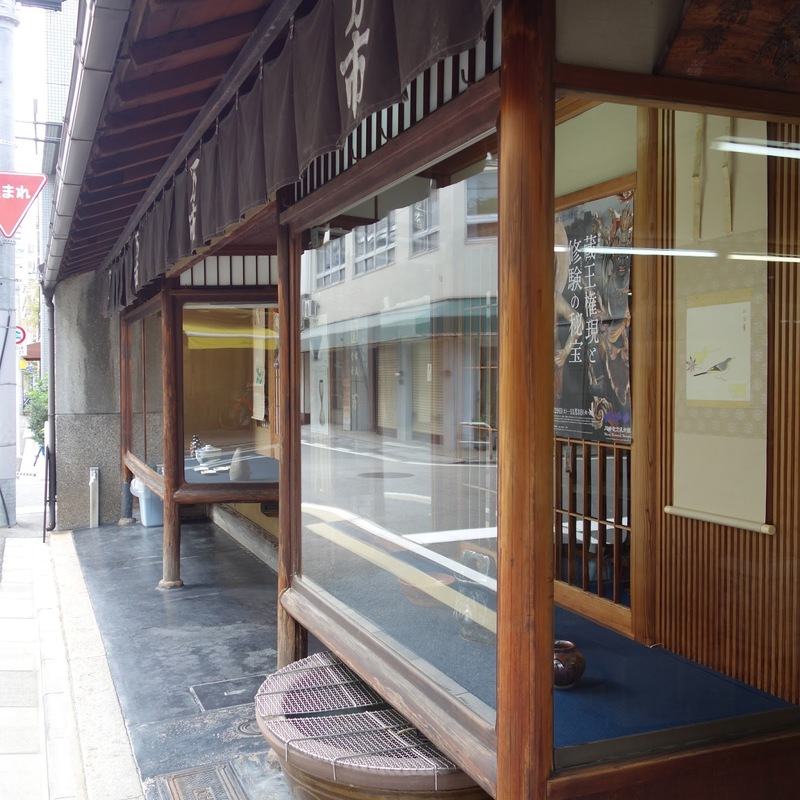 This neighborhood is the oldest geisha district in Kyoto, and apparently there are about 25 maiko (an apprentice geiko) and geiko (similar to geisha) working at the teahouses there currently. Above: A Portugese bakery, Castella do Paulo, across from the shrine. The bakery is run by a Portugese/Japanese couple. 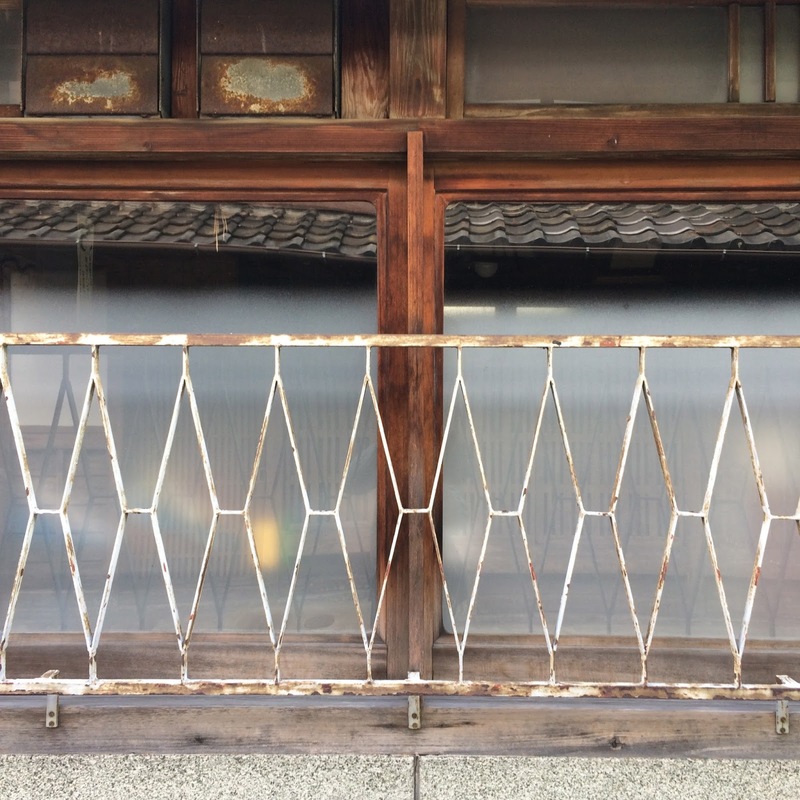 Above: This 7-11 and the pharmacy next to it played a large role in our time in Kyoto. It was a couple of blocks from where we were staying, and because the local coffee houses didn't open till 9:00 it was the only place for an early coffee. When we didn't feel like going back to the more tourist friendly areas for dinner we made do with the adzuki beans and rice and heated them up at the house. 7-11s are the most likely place to find an ATM that works with US accounts. We'd met the pharmacist at Pupuri Co. (next door to the 7-11) when we needed some Advil, and she'd helped us out with information, and spoke english well. When I had to have stitches removed from a puncture I'd gotten before leaving LA. it occurred to me she might have a suggestion. She went way out of her way to get me help....calling a surgeon nearby, showing the way, and helping me fill out the forms. Her incredible generosity made us feel so welcome. To the north, and slightly east of Kamishichiken Kawai is Kuramaguchi Dori. 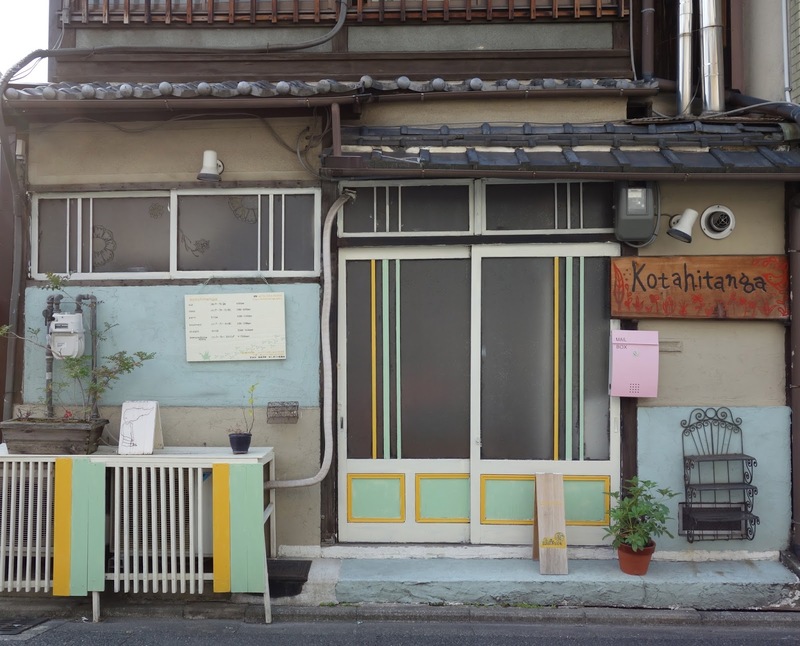 It's located in Nishijin, an area that was the textile district but as the old workshops closed, the area is being rediscovered by younger artisans, and new businesses are starting up there. Above: Chippruson bakery. They have an inspiring blog here. Above: Along the way to Kuramaguchi Dori...Yuzu tree hanging over the wall above. The cloud shaped cement work is something you see everywhere. Above and below: Tom Sawyer Boulangerie....delicious! 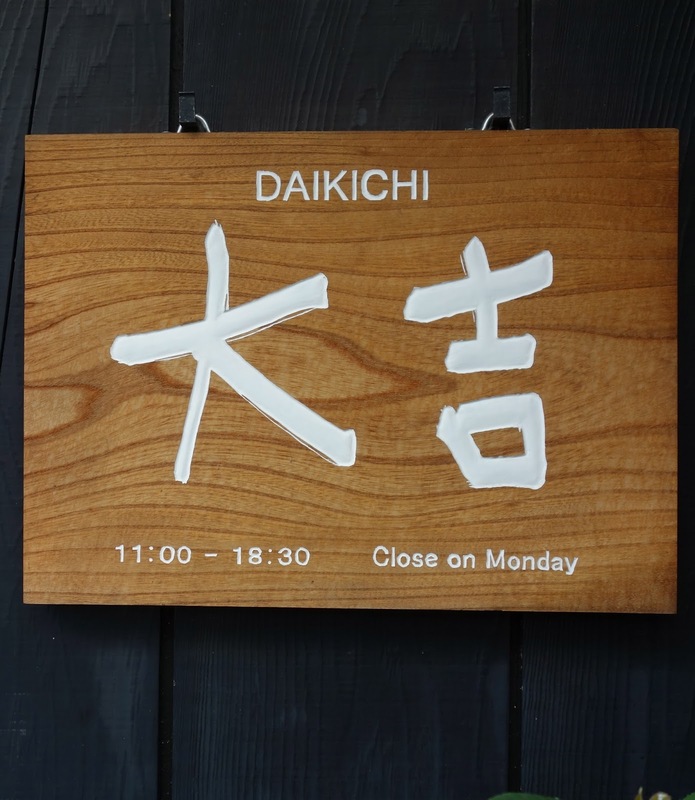 Above: This is a sign for Nazuna..an artist's collective of independent stores off a hallway of an old machiya, a traditional wooden house. Above: You can see shop names on the black signs above the doors. A diminutive display on the left. Below: The nursery behind the shops in a outer passageway to more in the back building where there's a place to take art/craft classes. Above: From the back building to a side street these curtains soften the view. 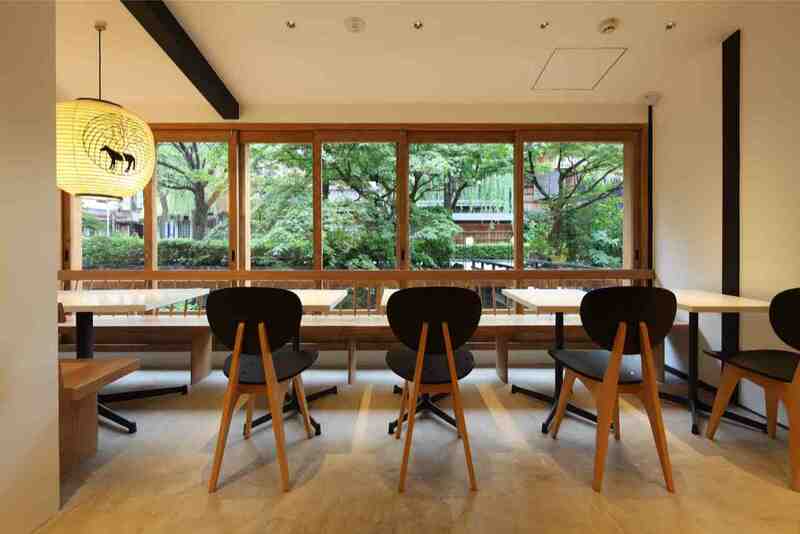 Above: Sarasa Nishjin, a popular cafe that's located in what used to be a public bath. They've retained the tile and the character of the historical space, and it's open till 11pm. Above: Next to Sarasa Nishjin is Kamisoe, a paper store. They've taken on the vanishing art of making papers for sliding screens, they make cards and all sorts of custom work. They give classes now and then, and have a blog to show their projects. Above: Paper making at Kamisoe. Above: We came across Kamisoe before going to Kyoto, as they were part of an exhibit called "A Tale of Plant and Pot in Kyoto". The exhibit featured pots made by Los Angeles based ceramicist Adam Silverman filled with unusual grafted cactuses created by Kyoto based horticulturist Kohei Oda. 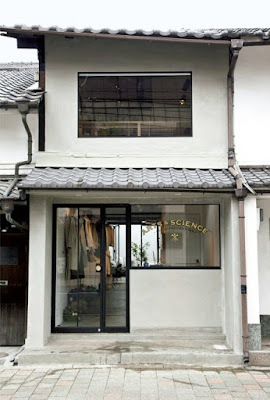 The work was commissioned by Chariots On Fire in Venice, where it was originally shown, and it was also exhibited in seven locations in Kyoto, Kamisoe being one of them. There's a book about the project available at Chariots On Fire called "Grafted". In order to see the Imperial Palaces you need to get tickets ahead of time. This means going to the Imperial Ticket Agency, in the park around the Kyoto Imperial Palace. as soon as you arrive, and hoping they have available times. 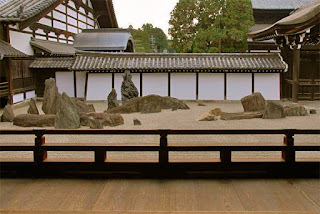 Shugakuin Imperial Palace is about 133 acres, located at the foothills of the Higashiyama mountains. 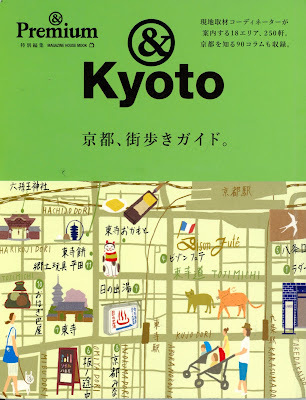 It has views of faraway mountains and the whole city of Kyoto laid out below. The use of distant views to give depth to the beautiful close surroundings is called "shakkei". Above and below: Shugakuin was commissioned in 1655 by Emperor Gomizuno. 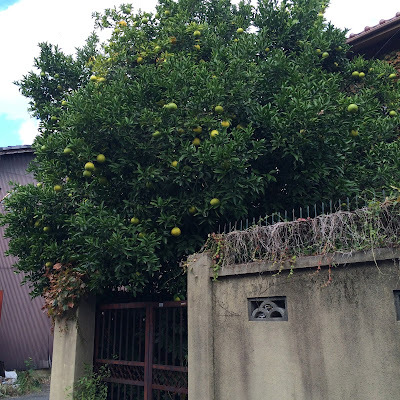 Gomizuno thought it would be beautiful to have views of farmland, so he brought in tenant farmers to farm his acreage. 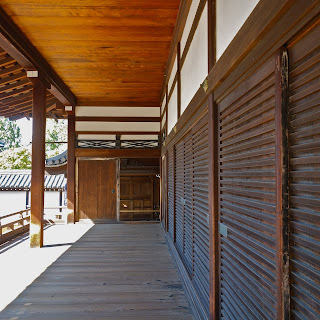 He placed tea houses at two levels of the property, high and low, and later built a third tea house in the middle for his eighth daughter Princess Akenomiya. When he passed away she became a Buddhist nun, and her villa was established as a temple called Rinkyuji. In 1885 this was transferred back to the Imperial Household Agency. Above: Inside Rinutei tea house, high up on the property. This looks out over the Yokuryuchi pond, shown below. The pond was created by damming up a mountain stream. Above: A view of a man made lake, a place where Emperor Gomizuno liked to relax in a boat as he made his way around the island, listening to music and poetry in the company of his courtiers. Above: There are mossy paths and forested areas for walking interspersed with open spaces with broad and distant views. Above: Famous cloud shelves in the home of Princess Akenomiya. They are made to resemble a hanging mist, and, according to the brochure, are considered one of the three most treasured shelves in Japan....not a category we have in the US. Above: View from a tea house. After leaving Shugakuin Palace, we walked down the hill and to the south. 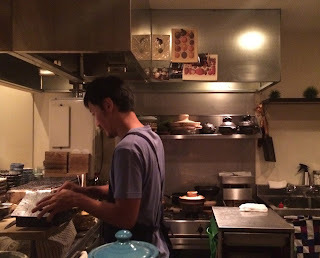 Above and below: A couple of vegetarian restaurants on Shirakawi Dori. 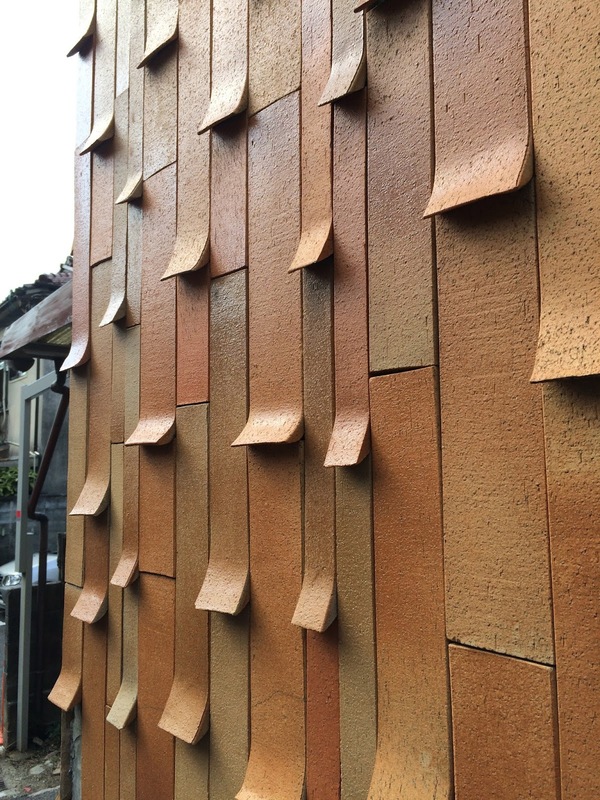 Above: Interesting tile facing a house on the way. Above: Steps to Robert Yellin Yakimono Gallery...a ceramic specialist. Above: We got this tiny sake cup there, described as Karatsu Black Guinomi, made by Kimata Kaoru. Above: Robert Yellin suggested having lunch at Nashimote a couple of blocks away.. We had excellent grilled fish and vegetables...perfect! Above: Great floors at Nashimote. Below: Another good restaurant in the area is Omen...a classic place that has two branches in Kyoto and one in New York too. 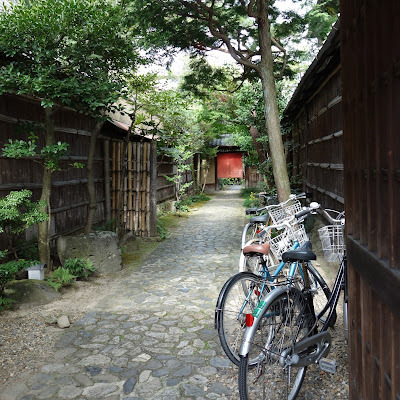 Above: One of my favorite spots in Kyoto is the Philospher's Path. It's a canal side walk, a little more than a mile long. There are a number of shrines nearby including the well known Silver Temple, Ginkaku-ji, at the north end. 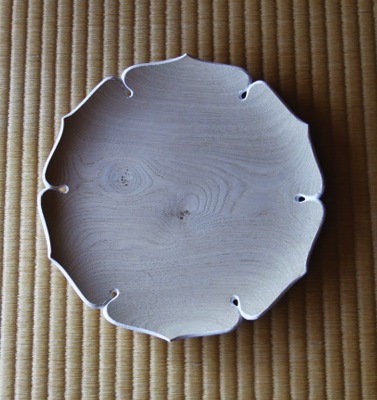 It was named because philosopher and teacher Kitaro Nishida (1870-1945) is said to have used it for daily meditation. Above: Kisoartech alongside the canal. Kisoartech makes cabinetry, furniture, hardware, and home accessories. Above: Tea room upstairs at Kisoartech, overlooking the canal. The chairs are available to order there. Above: Wallpaper made by Kisoartech. They make panel screen paper as well. 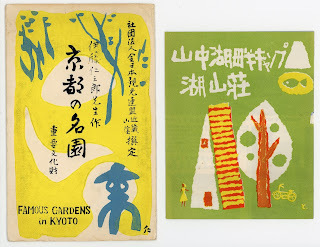 Above and below: An antiquarian book fair took place at Chion-ji temple while we were in Kyoto...bright colored covers and wonderful graphics. Above: Heading down the hill towards Gion. 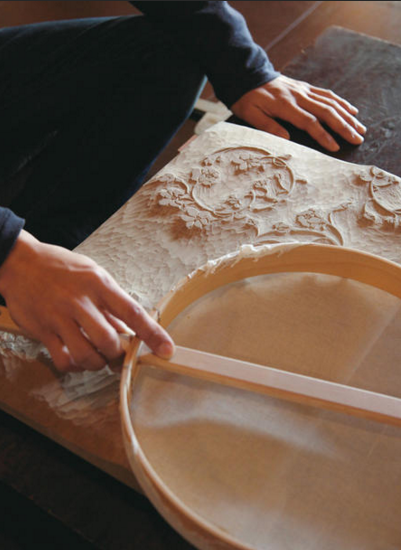 Above and below: Modern and traditional uses of woodwork. In the northern part of Gion, which is a scenic old part of town, is an antique district....all sorts of ceramics, bamboo work, netsuke, screens, textiles, and so on. It's boundaries are Sanjo Dori to the north, Shijo Dori to the south, east of the Kamo River for a few blocks. Above: Plates by Ogata Kenzan (1663-1743). 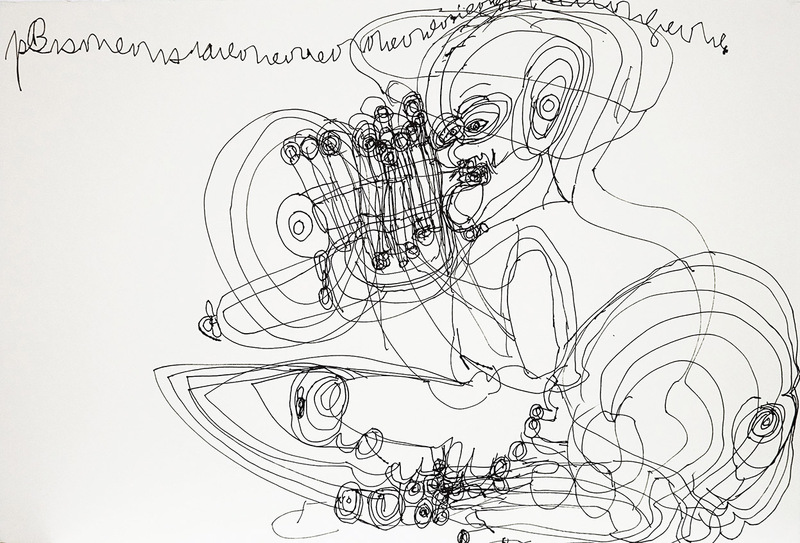 We saw similar ones at Takashi Yanagi's gallery. 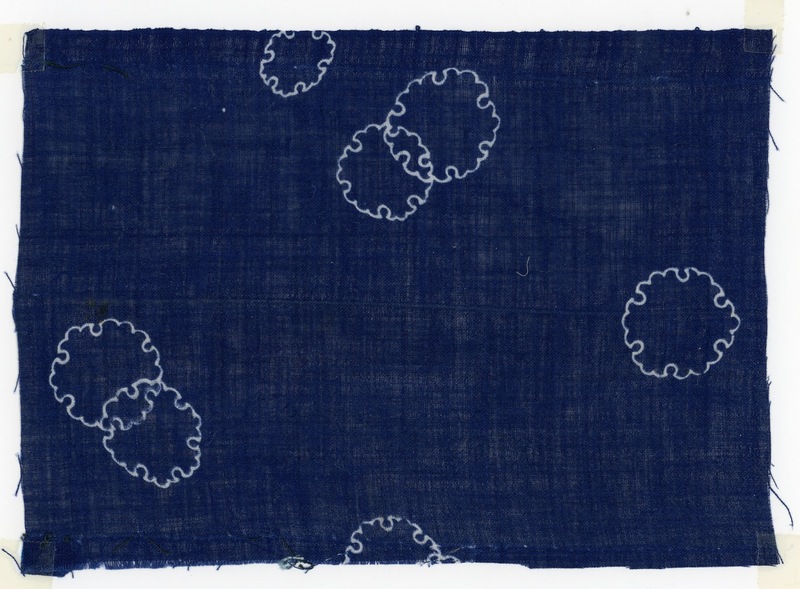 Above and below: Vintage textiles at Konjaku Nishimura. Above and below: A beautiful store in the antique district that sells some sort of eel. 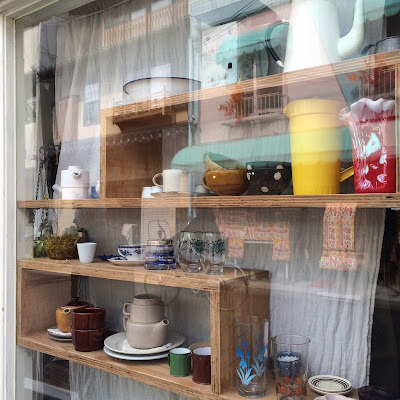 The shelves in the window are thoughtfully detailed. 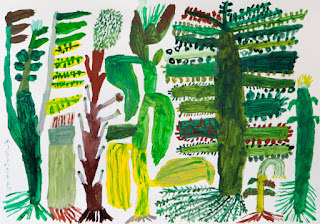 Above and below: Books and Things, another participant in the Tale of Plant and Pot project. Textured wood bars over the window. Above: A maiko, or apprentice geiko, walking in Gion. She looks like a visitor from another time. Above: You can tell from the way the white make up is applied to her neck that she's an apprentice. 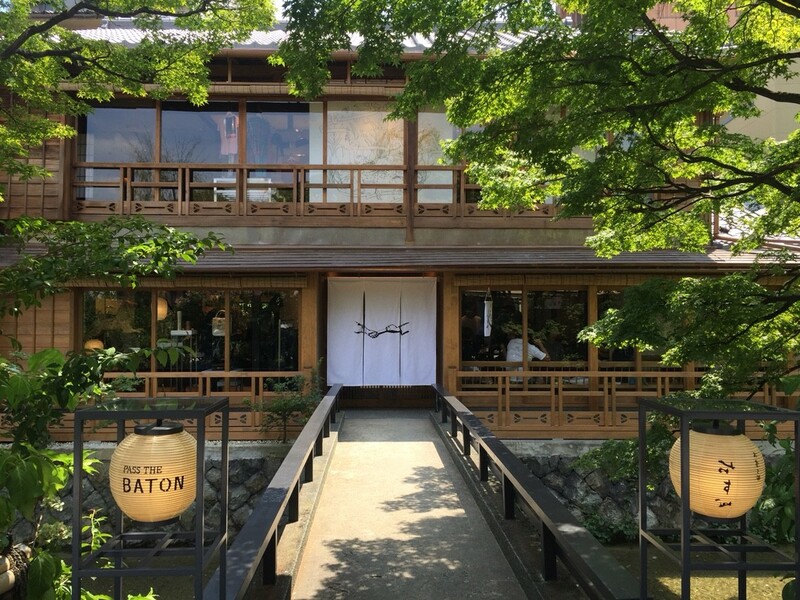 Above and below: On one of the prettiest streets in Gion, a nice spot for tea along a canal is Pass The Baton. It's also a vintage clothing store. 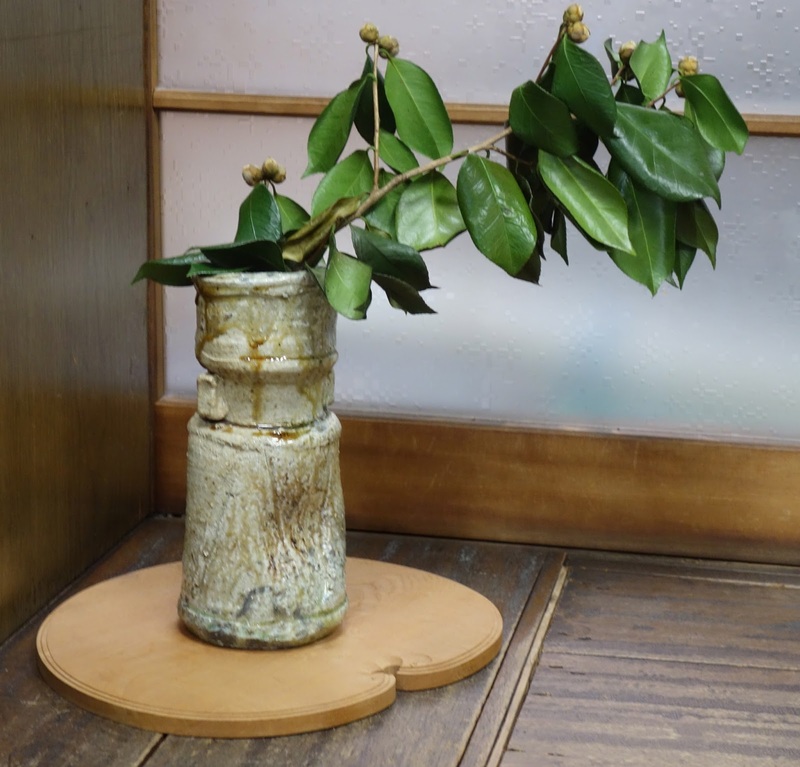 It's located in a 120 year old machiya. 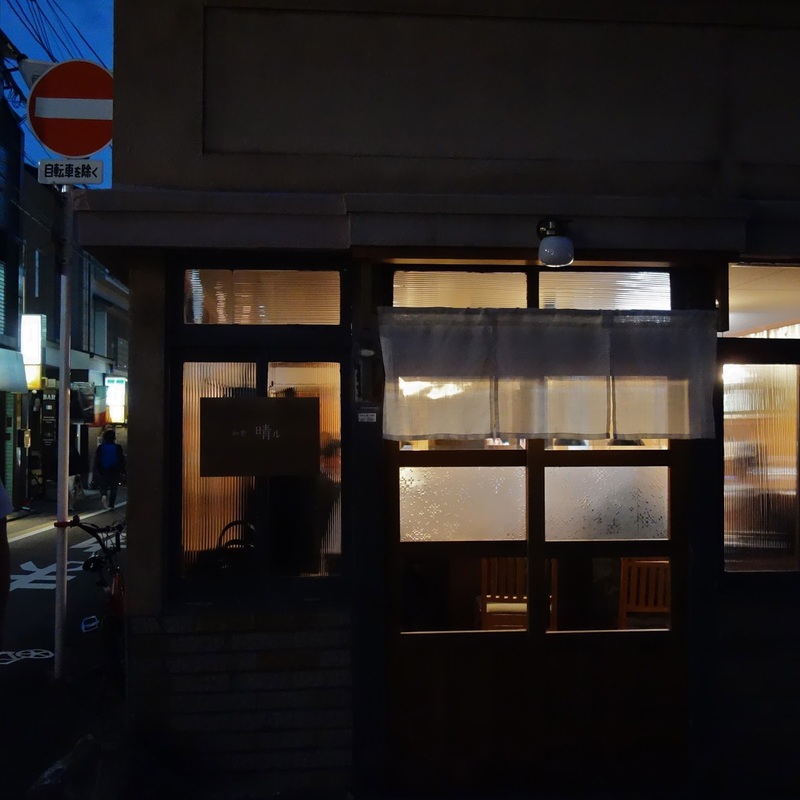 We asked the waiter there for a dinner recommendation, and he suggested Yasai Hori, which turned out to be a favorite spot for us. Above and below: The canal in front of Pass The Baton. Many women dress in kimonos for special occasions. 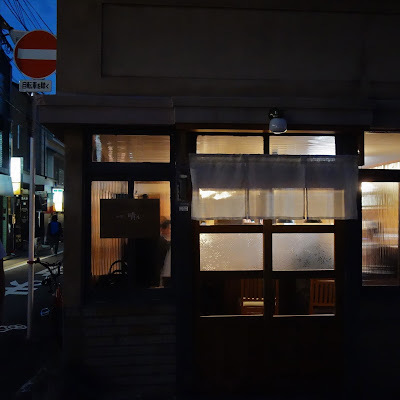 Above: One block west of the Kamo river, across from Gion, and just north of Shijo Dori, is Ponto-cho, a long narrow alley lined with bars and little places to eat. 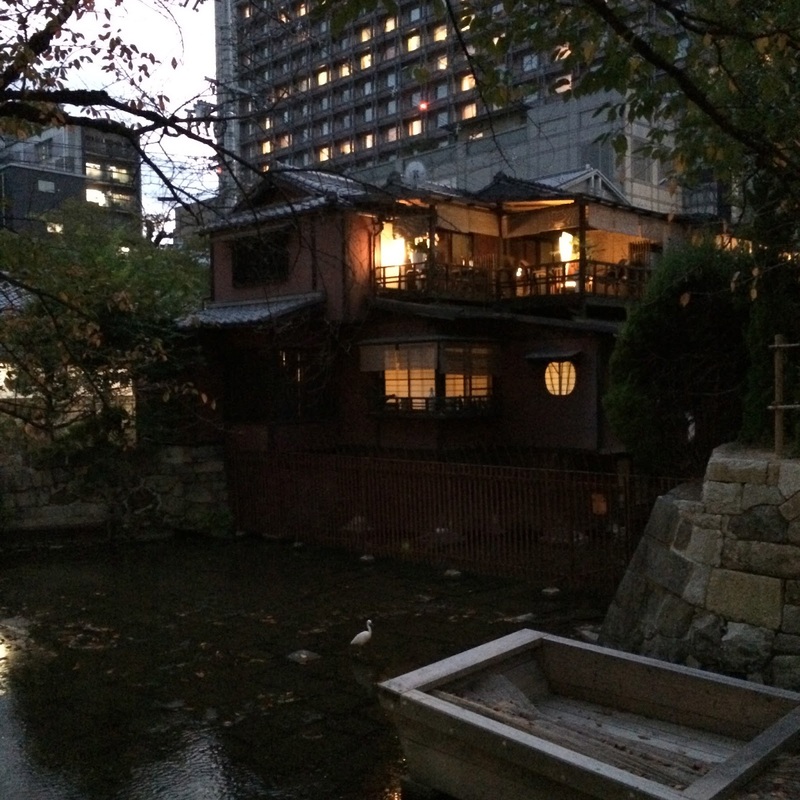 Above: An old machiya lit up in the foreground, on a canal, with modern Kyoto showing behind. 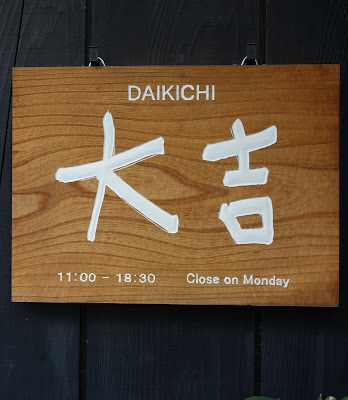 Above: A few blocks further west, just north of Shijo dori, off Shinkogoku Arcade, (next to Teramachi Arcade) is a restaurant we really liked...Yasai Hori. Not only was the grilled food delicious, but also the sort of place where you feel at home, talking with the chef and owner, Kouta Hori, while he cooks. 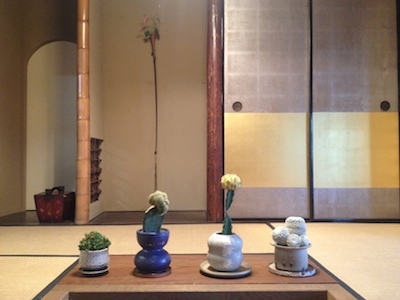 Above: A surprise in the bathroom mirror at Yasai Hori....a miniature art installation with a cotton plant and tiny buds and a painted backdrop. We hired a guide from Chris Rowthorn Tours, Koko Ijuin, to take us to look at some of the shrines and help us get oriented to Kyoto. She was incredibly helpful... she took us to rock gardens at interesting shrines that weren't crowded, immersed us in Japanese culture, advised us about where to go during the rest of our time in Kyoto, guided us on a beautiful route that included a lovely hike, and brought us to a great noodle restaurant for lunch. Above: Tofuku-ji Shrine, rebuilt in 1890. 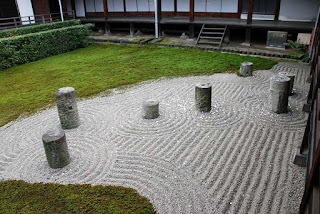 Above: The zen gardens at Tofuku-ji were designed in 1939 by Shigemori Mirei (1896-1975). The southern garden is seen here, rocks representing the Elysian islands set in a sea of raked gravel representing the 8 rough seas. Photo found here. Above: Overlooking the southern garden these doors slide open to a large gathering pavilion. Above: To the east this garden is named for the great bear constellation. Photo found here. Above: Looking out over the northern garden. Above: In the northern garden the stone transitions from a chequerboard at the left to all moss on the right, moving from the imperfection of human beings to the perfection of nature. Above and below: The Fushimi Inari Taisha shrine is known for its masses of orange torii, over about two and a half miles of torii, each one donated for good fortune. It is credited as the inspiration for Jeanne-Claude Christo's Gates project in Central Park. 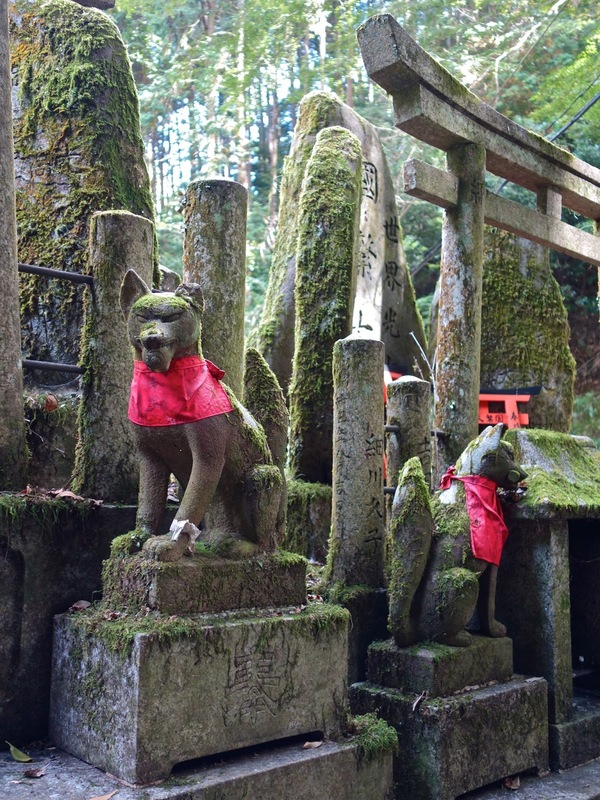 When the shrine was created by the Hata family in the 8th century it was dedicated to the gods of rice and sake. The fox is considered the messenger of Inari, god of cereals. 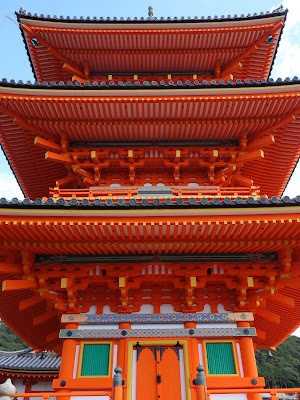 Now the shrine is associated with prosperity in business, and a very popular destination. Above: Yasaka Pagoda, 15th century. Above: Walking down the hill from Yasaka Pagoda. Above: Not far from Yasaka Pagoda is Kiyomizu-dera Temple. In the foreground is a gate structure, and the pagoda in the distance. The colors used are remarkable. 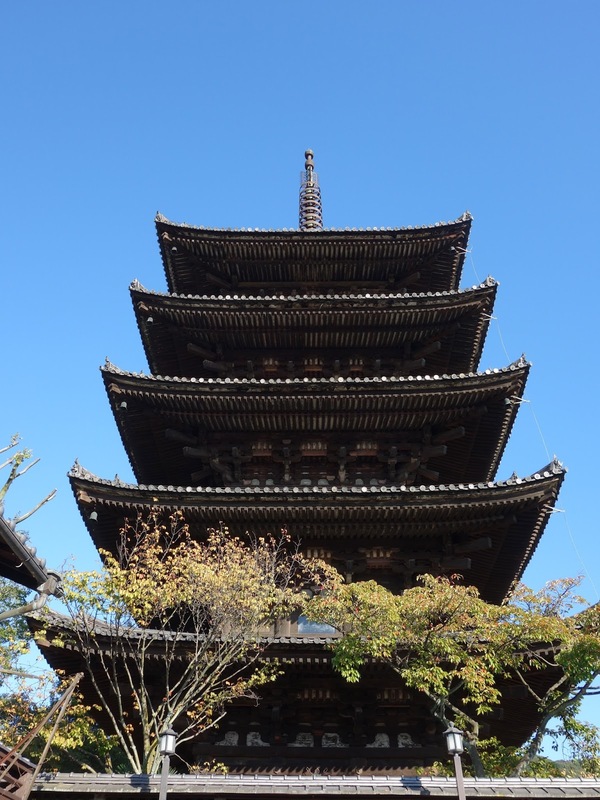 Above: A close up of the pagoda. 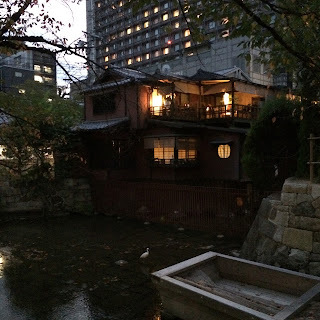 Above and below: About a 10 minute walk southwest from Kiyomizu-dera Temple is Kawai Kanjiro's home. 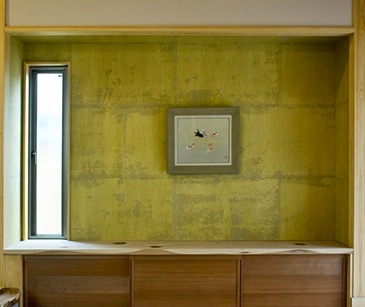 The home and studio have recently been opened to the public. 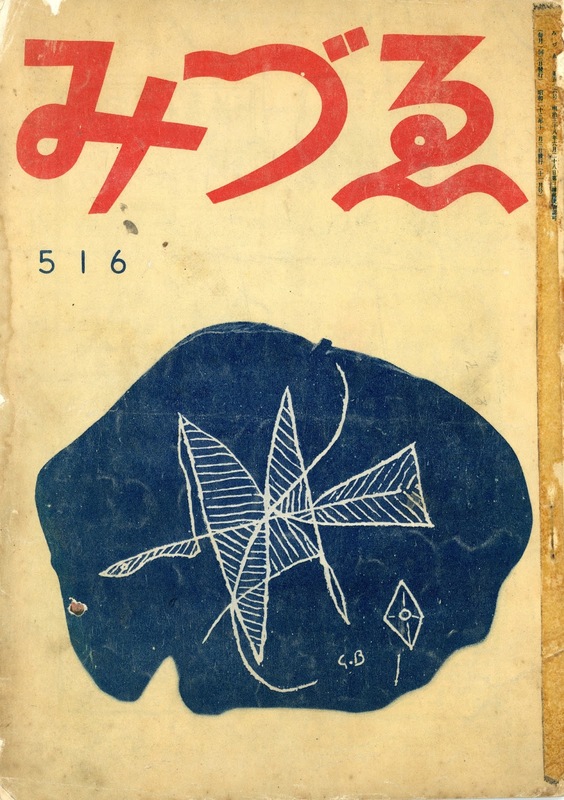 Kanjiro (1890-1966) was a ceramicist who was a leader of the mingei, or folk art, movement. Above: A view from the living room into the open courtyard. Above: Kanjiro's sitting room on the 2nd floor of the house. Above: View of the central courtyard, with the ceramic studio at the far end. Above: The smaller kiln, with an offering tableau resting on the flat area. 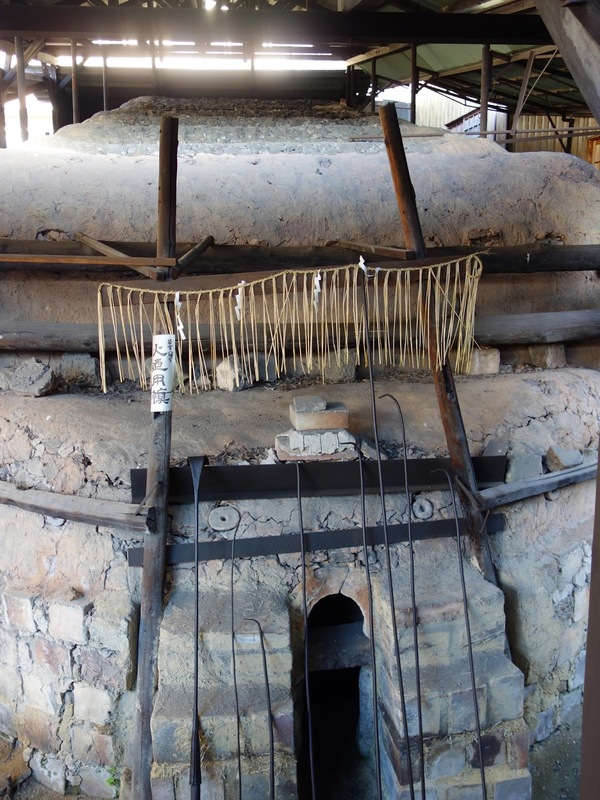 Above and below: The anagama kiln, which is built on a hill, so the hot air can pass through the kiln from bottom to top. All the sections are big enough to walk through. 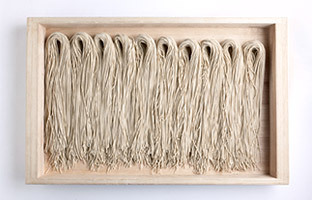 The shimenawa is warding off evil spirits, important as firing can be unpredictable. Above: View back to the main house from the studio. Back down the hill, and across the Kamo river is another favorite area...a neighborhood perched between the Kamo river and a small canal. It's just south of Gojo Dori. We never would have come across it without this book. 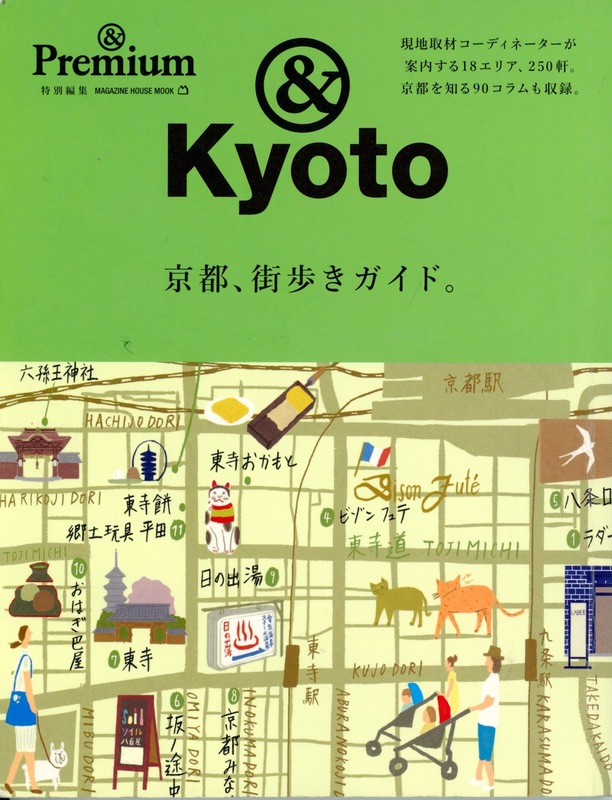 It has maps of interesting neighborhoods along with photos and even though it's almost all in Japanese we found it to be quite useful. 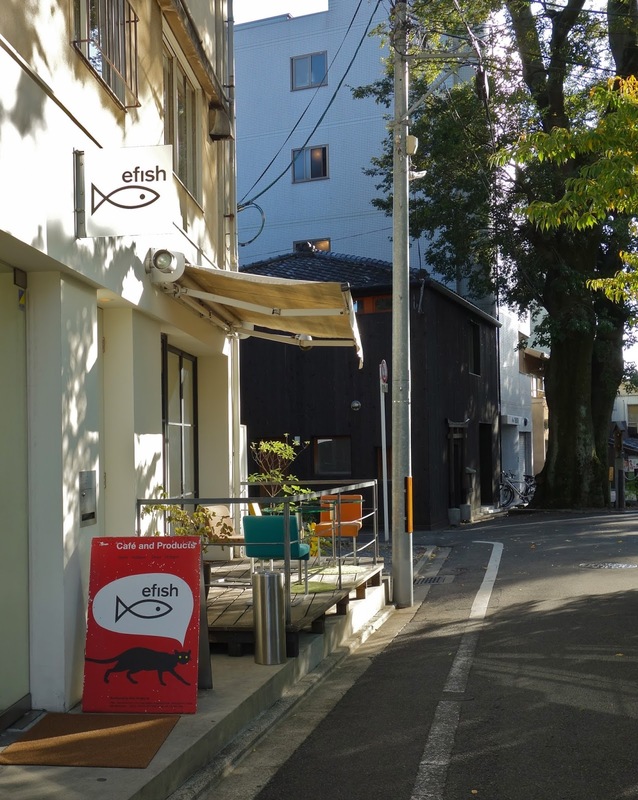 Above and below: Efish is a two story cafe overlooking the Kamo river. They sell home accessories as well. They have a lovely animation on their web site that's fun to see. 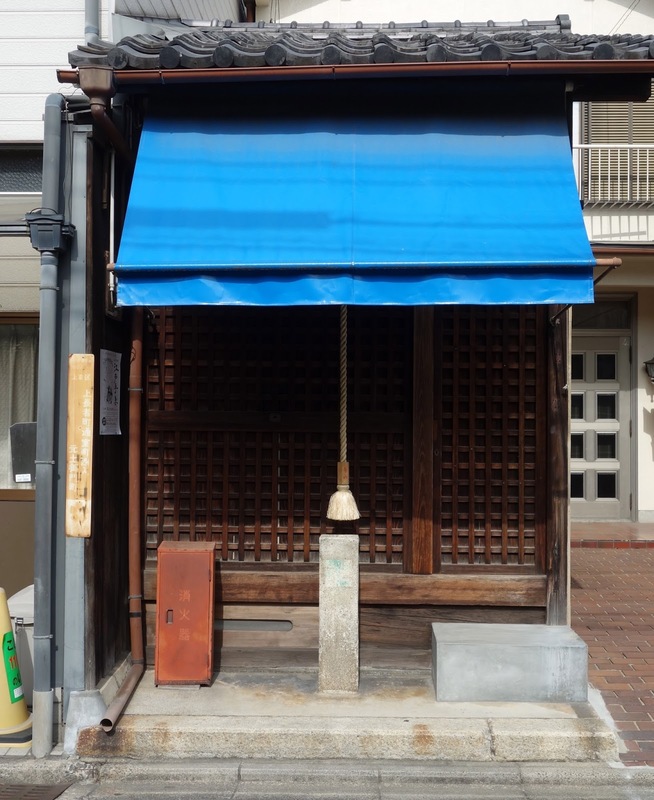 Above and below: This home set on the Kamo river includes a small shrine. The shrine, which is under the Torii gate, (see below), is dedicated to the spirit of the hackberry tree. 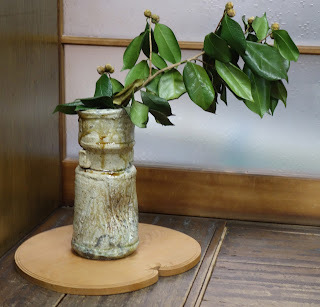 The tree is a remnant of a large wooded area on an estate belonging to Minamoto no Toru, son of Emperor Saga. The hero of tale of Genji is believed to be modeled on Minamoto no Toru. The "shou sugi ban" charred wood is a traditional material, used here in a modern form. 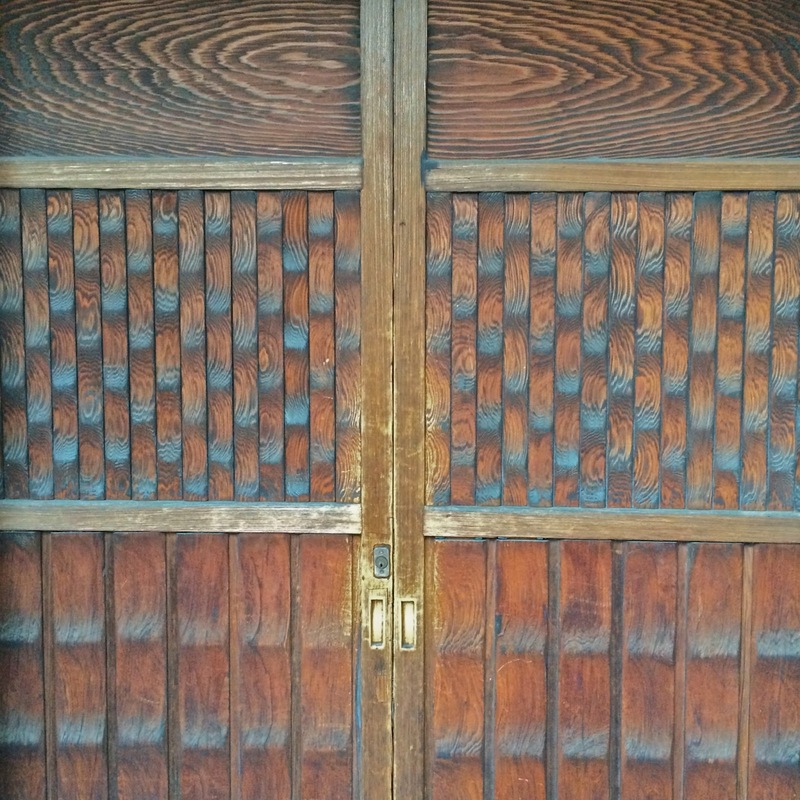 The warmth of the natural wood doors make a pleasing contrast to the blackened wood. Above: The extremely hard to find but very endearing Gojo Mall. It's located on a small street in between and parallel to the canal and the river. It's only open 1-7 pm on Saturdays and Sundays. 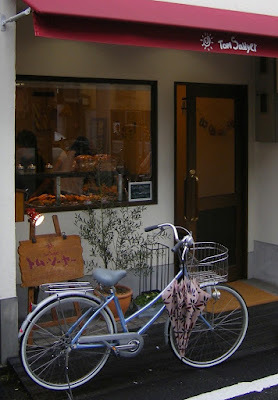 There's a tea shop and a few tiny stores inside. Above: The windows are mostly opaque but a small clear patch creates a mysterious effect. Above: Home Home sells books and paper. Above: View of entry from above. Above: Across the canal is Kaikado. They've been in business making metal tea containers since 1875. 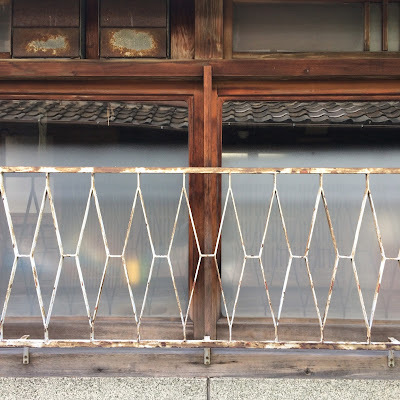 Above and below: On Gojo Dori and Takakura Dori is the Jimuki no Ueda building with a few interesting places upstairs...Utsuwa Kyoto Yamahon, where they sell elegant yet simple home accessories, Daiki Bookstore, and a paper and craft store. Above: Work & Shop in the Jimuki no Ueda building. They have all sorts of paper goods in patterns by Makoto Kagoshima, several Scandinavian designers, and William Morris. They also carry crafting items. 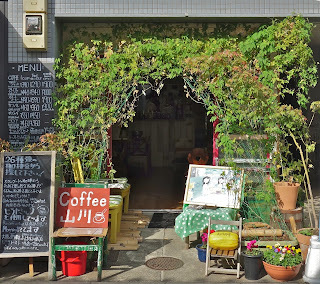 Above: On the other side of Gojo Dori is an art bookstore, Eureka. Mostly they sell online, but one week a month they open the store when they get their new orders. Call first as their schedule changes every month. We were lucky to find it open. Above: Glowing light from a restaurant at dusk. 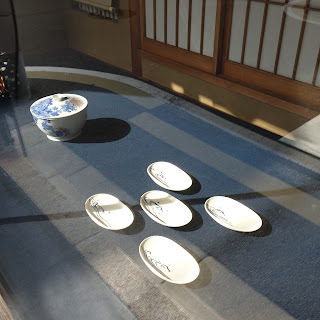 Above: One of the key places we wanted to visit was the Raku Museum. 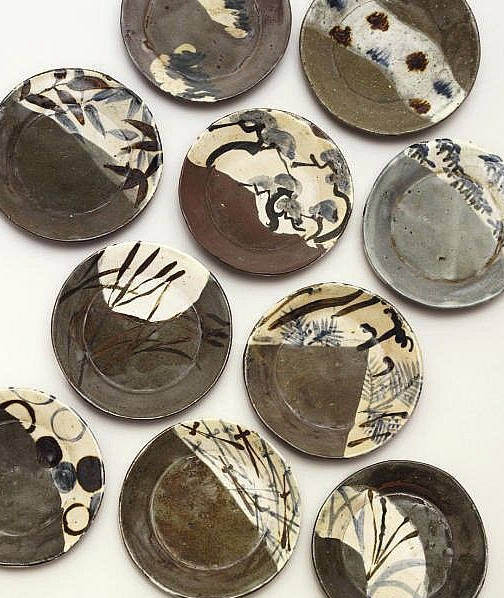 This is the place that the Raku style of ceramics was born, and there has been a Raku master from generation to generation since the late 16th century. The current Raku master is Raku Kichizaemon, and he is number XV. The family home and studio are here in the original location, and the museum is right next door. Raku Kichizaemon gave a talk to a group of visitors when we were there. He was very personable, and we enjoyed meeting him. 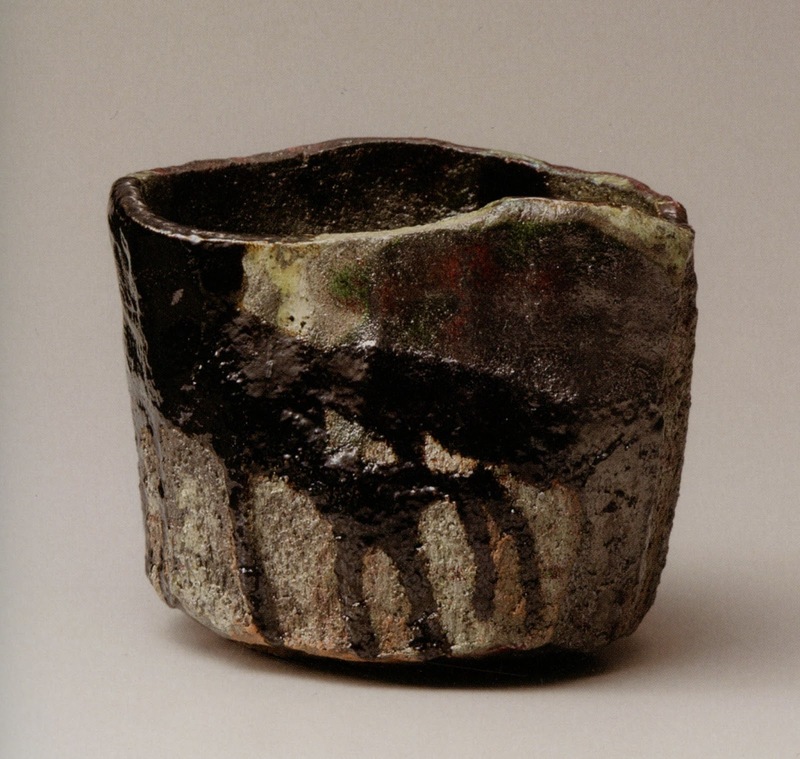 Above: This teabowl is made by the first Raku master, Chojiro. 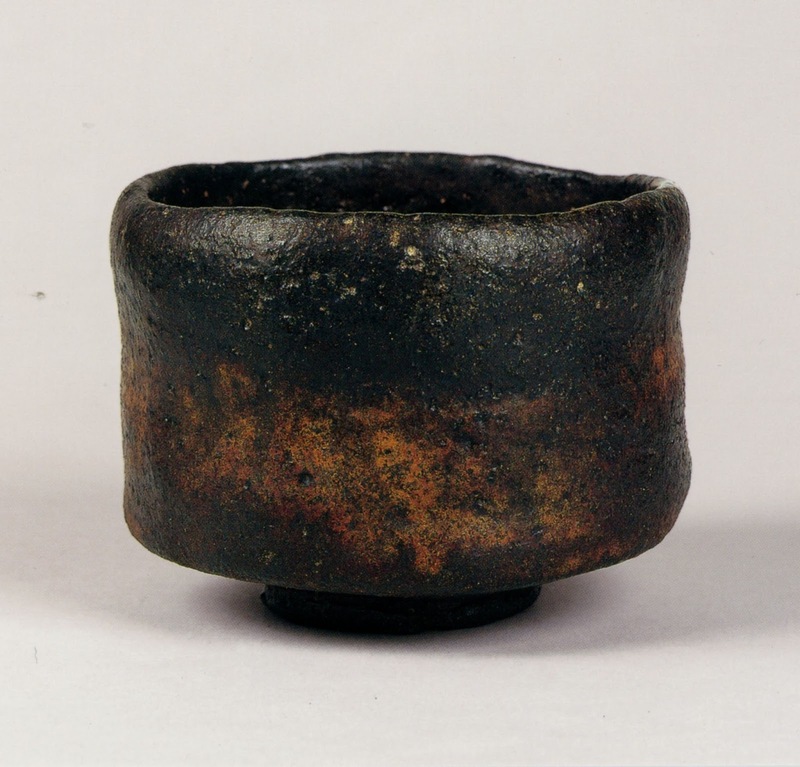 It is thought he was commissioned by tea master Sen no Rikyu (1522-1591) to create a set of teabowls in the rustic and intentionally imperfect wabicha manner. 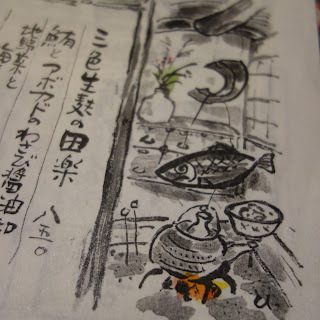 In 1582 Rikyu created the tea room "Tai-an", which had a wabi aesthetic similar to that of Raku. 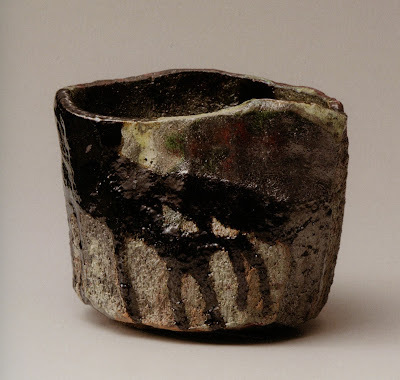 Above: This teabowl is made by Raku Kichizaemon XV. He's taken the tradition and found his own way of expressing it. His son, Raku Atsundo, is making beautiful work of his own now, and preparing to be Raku master XVI. From the Raku Museum we made our way over to Ebisugawa Dori, to the east of Karasuma Dori. 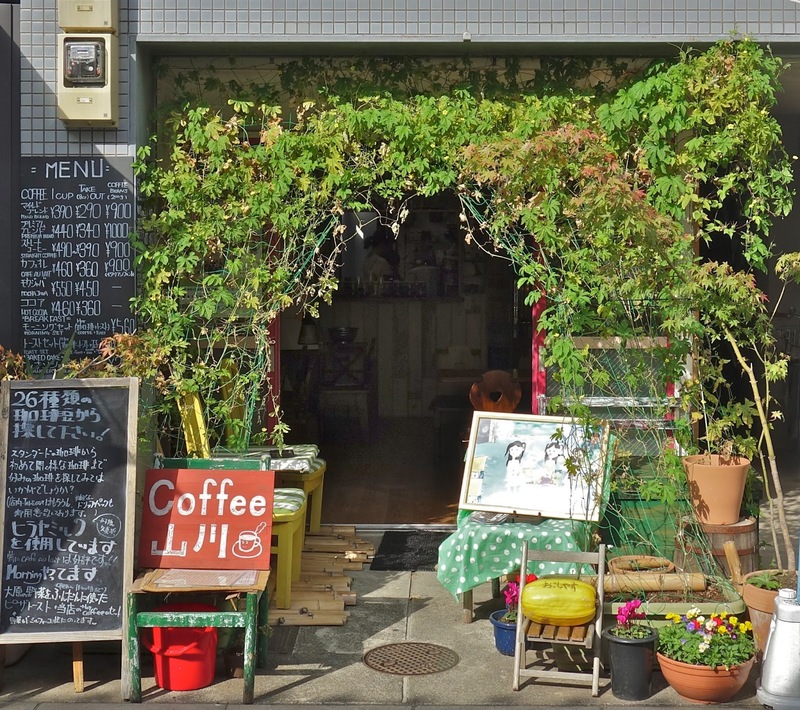 It's a pleasant street with antiques, construction crafts, cafes, and so on. Above and below: In the neighborhood to the west of the Imperial Park. The rope above is for ringing a bell to get divine attention. 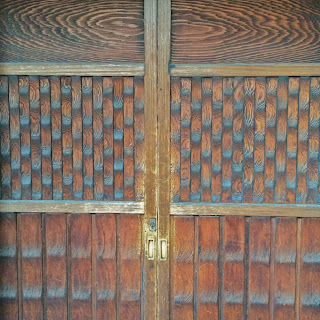 Above: The entrance to a resturant. 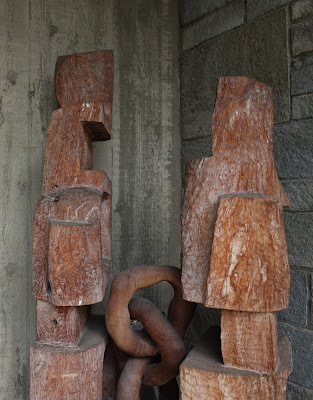 Above: Rock and block sculpture in an alley. 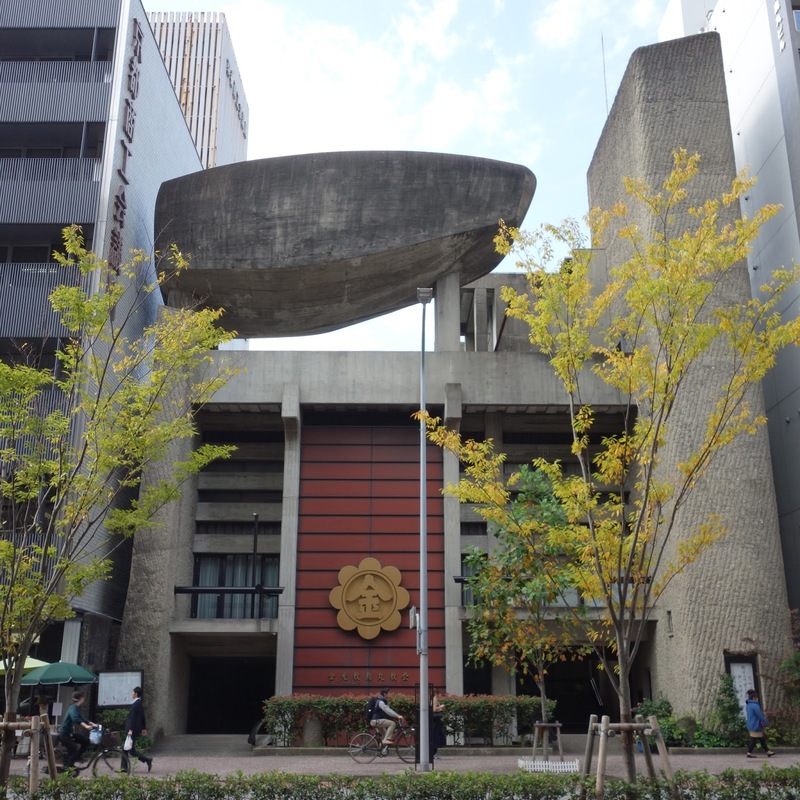 Above: Larger rock sculpture on the roof of this building on Karasuma Dori. Above and below: A nice place for lunch...Neuf Creperie on Ebisugawa Dori. Above and below: A typically sparse window in an antique store on Ebisugawa Dori. Above: An appealing shop sign. Above and below: Coffee shop with a sign using a large squash. Above: Antique store on Ebisugawa Dori. Above and below: Sculpture in front of Galerie Mikawaki, on Teramachi. When we were there they were having a Dwight Mackintosh (1906-1999) show, who worked at Creative Growth in Oakland. Above and below: A paper and calligraphy supply store on Teramachi. 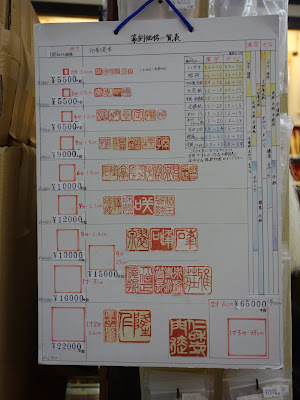 They also make "hanko", a personal stamp that's like a signature...everyone in Japan has their own. You can see the chart below with the different prices for different sizes. These are used to bind legal documents, as well as for everyday purposes, and are made from wood, horn, or stone. Above : Bakery on Teramachi. Above and below: This is a great shop for antique ceramics and other interesting things. 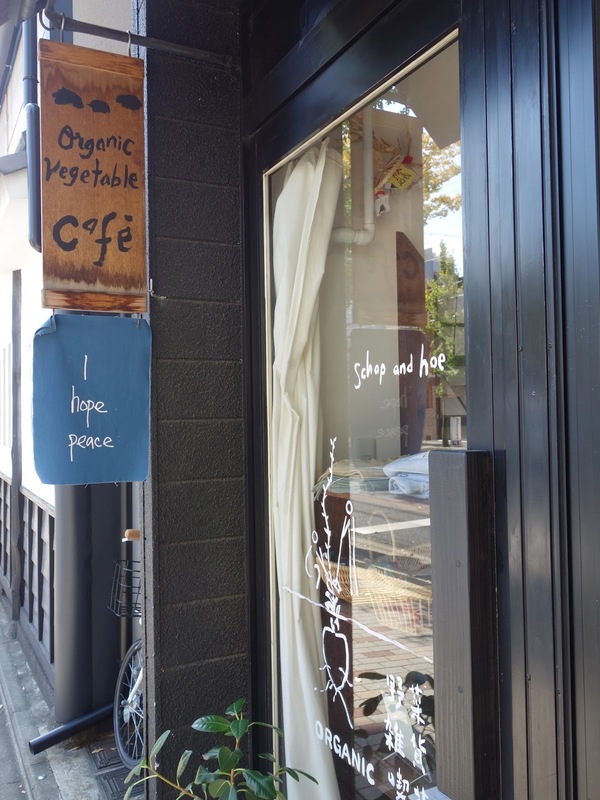 We spent a long time here talking with the owners Osamu and Yoko Sugimoto. It's on the corner of Teramachi and Nijo Dori. 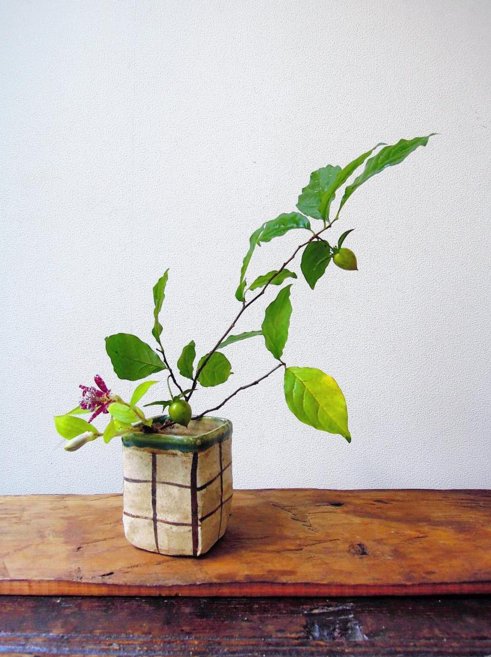 Yoko posts the most beautiful flower arrangements in vases from the shop. 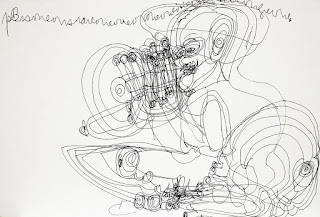 Above and below: A jam-packed bookstore with some great art books and a compelling display. It's located inside the northern part of Teramachi Arcade. Above: Another bookstore in Teramachi arcade. Above: Graters from a fantastic kitchen utensil store....Aritsugu. Well worth a visit. We bought brass tongs that are a pleasure to look at. Artisugu is in Nishiki Market, just west of Teramachi arcade, on the north side. Above: Green Tea sweets in Nishiki Market. 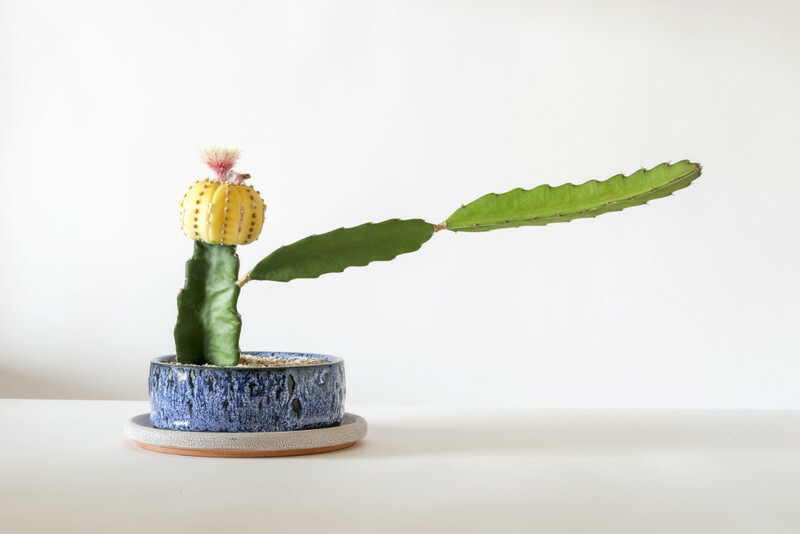 Above and below: Kitone, a shop with lovely graphic sense. 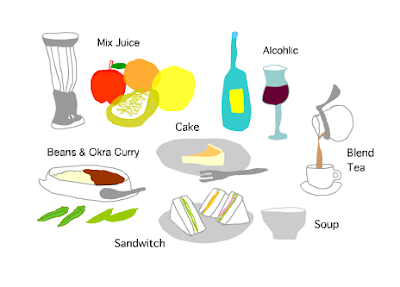 Above: Tea is served at Kitone. Above: While we had tea at Kitone we found a book in their library about Japanese illustrator, Miroko Machiko. Above: Further north, on Nijo Dori near the Kamo River and the Ritz Hotel, is Arts & Science, a branch that sells women's clothing. They have many tempting pieces there. Above and below: Honke Owariya is directly west of Arts and Science, off Nijo Dori, on Kurumayacho Dori. 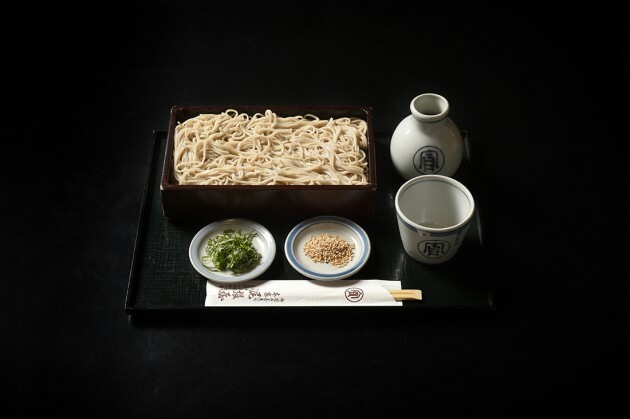 Honke Owariya is known for having fantastic Soba noodles as well as an authentic atmosphere. The original branch has been in this machiya since the business started in 1465! 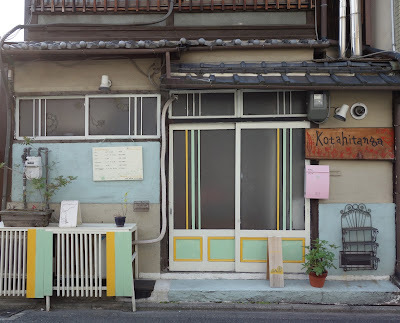 It's currently run by the 16th generation, Ariko Inaoka, who is also a photographer. She continues to work with her father and grandfather, the 14th and 15th generation owners. A wonderful history of the business here. 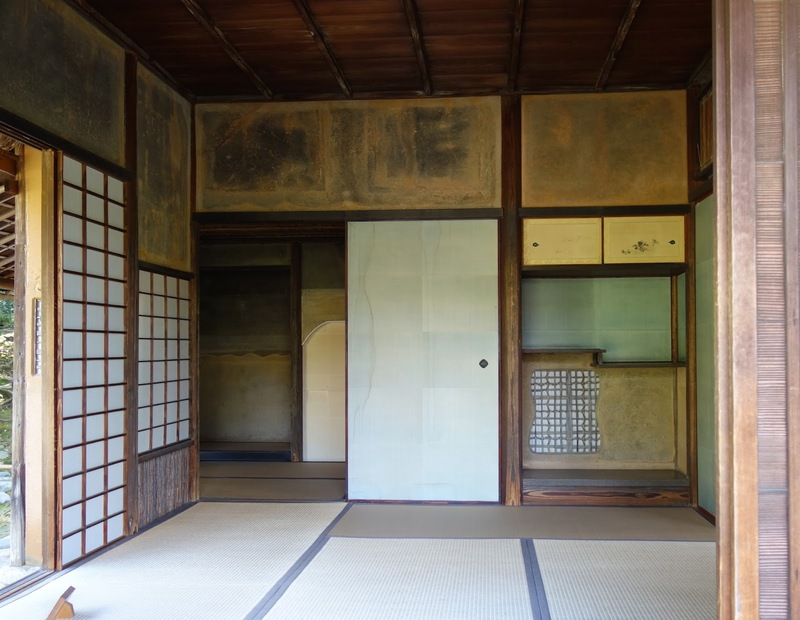 Above and below: Katsura is one of the most famous Imperial Villas in Japan. It's particularly known for it's garden, especially when the cherry blossoms are blooming in the spring. It's in the south west of Kyoto, a little outside the city. There are pathways for strolling and tea houses and the landscaping is designed to give surprises by obscuring and then revealing views. The paths and views wind around a lake with many inlets and man made islands, creating great visual interest. Katsura Imperial Villa was commissioned by Prince Toshihito and completed in 1615. It had fallen into disrepair, and his son Prince Toshitada restored and expanded it about 1662. Above and below: Views into a couple of the tea houses. Above: View from a tea house towards the lake. 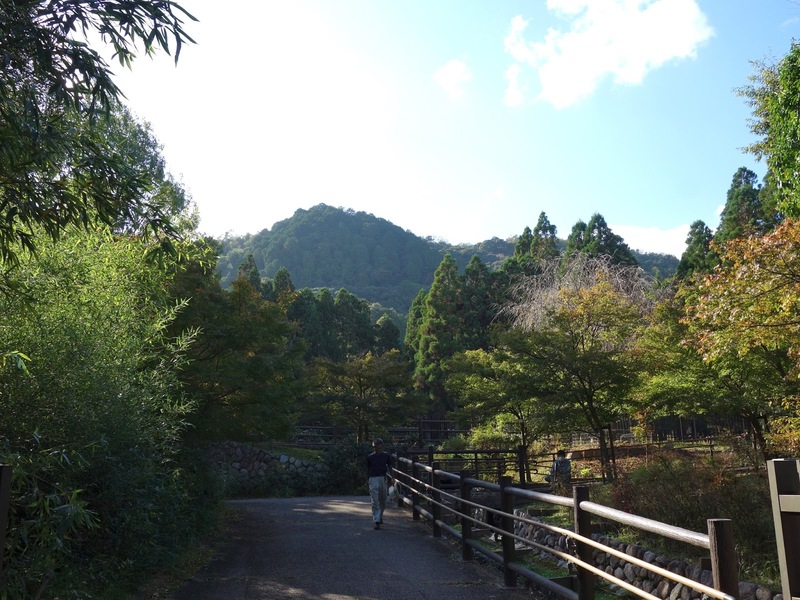 Arashiyama is to the west of Kyoto, a more rural area with bamboo forests and moss temples. 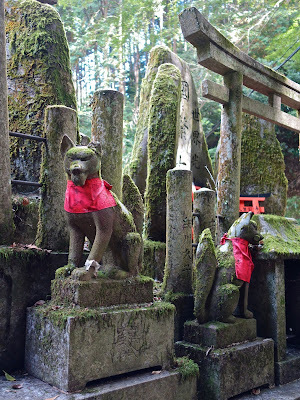 We went there to see the Gio-ji Temple, which has a lush moss garden, but also discovered the area is a wonderful place to walk and feel a little of the countryside. Above and below: We started with lunch in a pretty restaurant just down the hill from Gio-ji Temple. Above: A display of different types of moss at the temple. Above and below: At a temple next to Gio-ji. 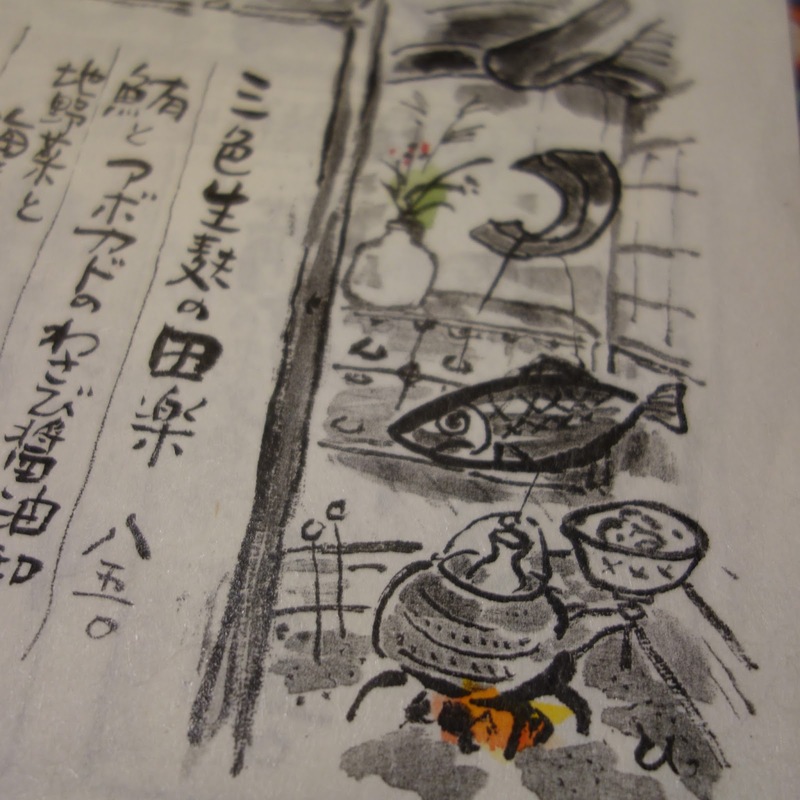 Above: A display of menu offerings at a restaurant in the village nearby. Above: Persimmon trees full of fruit this time of year. Above: A vegetable garden on the path with directional signs. Above: Taxi back into town...all the taxis in Japan have lace slipcovers. This was a particularly nice one.